On Tuesday 1st December, West Papuans were commemorating their national day and 54 years to the day since the West Papuan flag was first raised in 1961. In response to flag raisings and demonstrations all over West Papua and Indonesia, the Indonesian authorities brutally cracked down on all such activities. In Wanapompi village, Yapen, people raised the West Papuan national flag was raised at 06:00 but the gathering was forcibly dispersed. Then at 7:30, the Indonesian police and military arrived by car and stopped about 15 meters in front of the flag. They opened fire and shot 9 people, 2 of whom are now reported to have been killed. This was a truly horrific act and we fully condemn all such brutal violence by the Indonesian state against West Papuans calling for freedom. 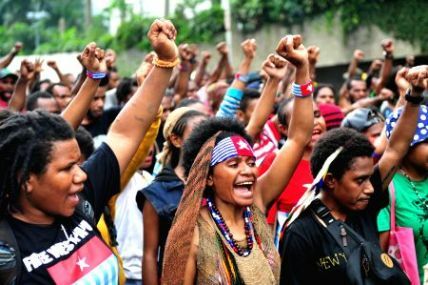 In Jakarta, West Papuan students organised a rally calling for freedom but were brutally dispersed by the Indonesian police. They fired teargas into the crowd and using sticks and rocks, beat the students. 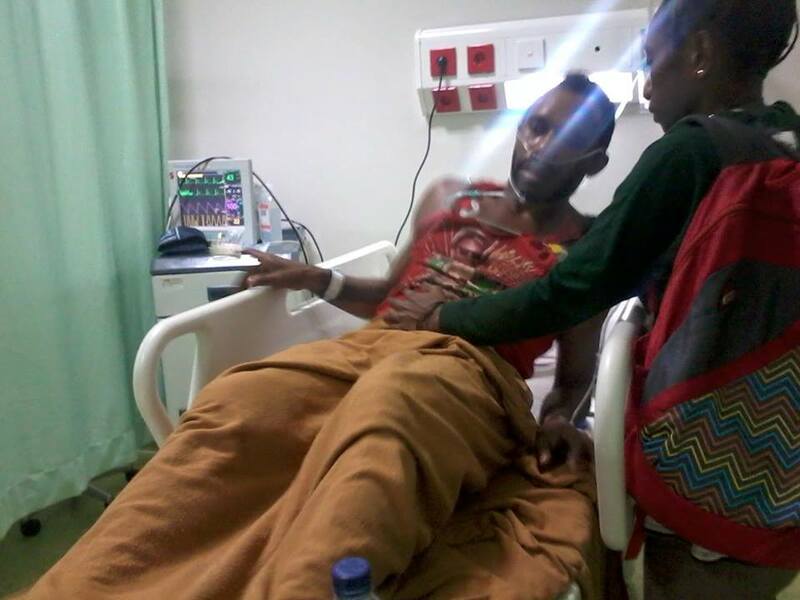 It is not yet known how many West Papuans were injured but at least one, 21 year old student Riko Suhun is in a serious critical condition in hospital after being beaten, shot and teargassed by the Indonesian police. All those who were arrested are still reportedly in police custody in Jakarta and we join in others all around the world in calling for their release. Niko Suhun (21) , a West Papuan student beaten up and teargassed by the Indonesian police in Jakarta. At least 2 Foreign Journalists, Step Vaessen from Al Jazeera and Archicco Guilianno from ABC were also beaten when they refused to erase their photos and footage from the demonstration. In a separate incident on the same day, West Papuan journalists Torpilus Tebai was kicked by the Indonesian police who forced him to delete his photos of police action in Nabire, West Papua. We join in IFJ in condemning the attack of journalists. Just a few weeks ago, Human Rights Watch comprehensively exposed Indonesian state violence towards West Papuan journalists and exposed the continued restrictions of foreign journalists to West Papua. 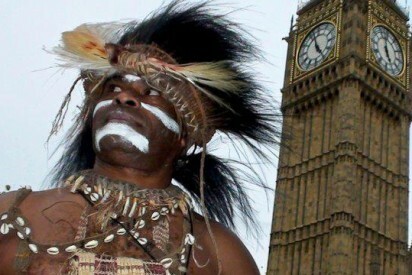 It is clear that the Indonesian government continues an effect media blackout in West Papua and the Indoensian authorities are even willing to attack foreign journalists who report on West Papuan demonstrations.